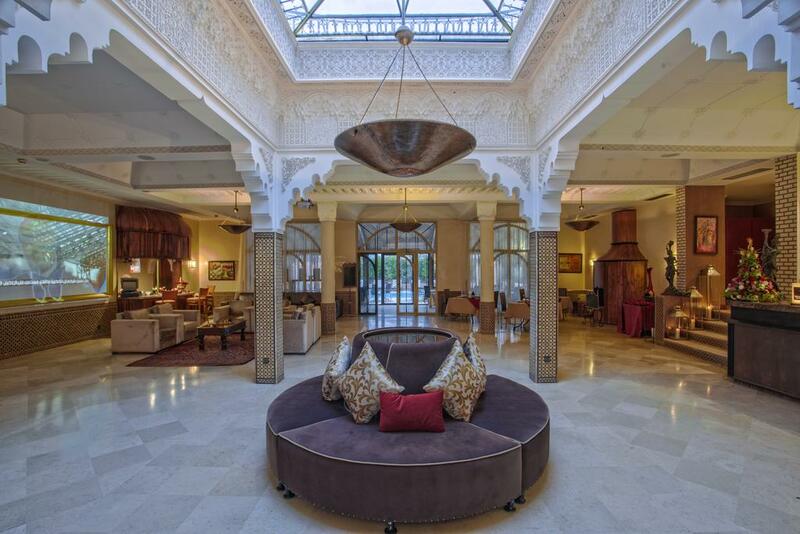 Located just minutes from the centre of Marrakech, the Palais Jena & Spa is a haven of elegance and comfort. 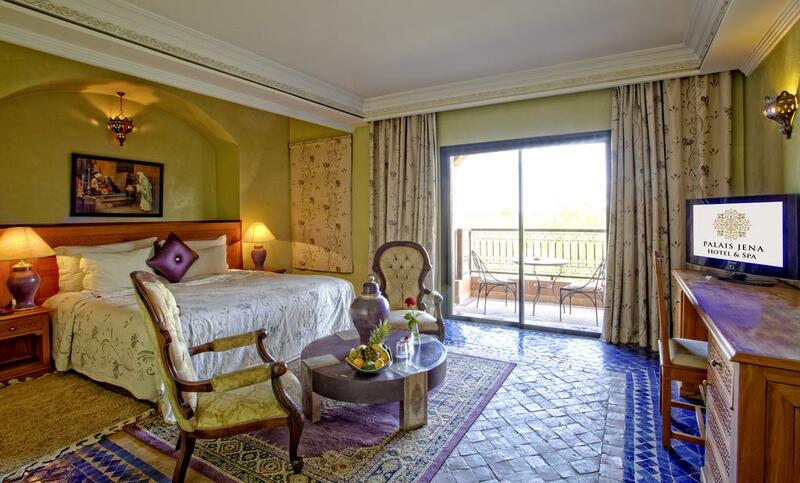 This 4 star boutique hotel offers 30 rooms and suites divided into: 24 Deluxe rooms and 6 spacious suites, bright and comfortable, some of which have stunning views of the Atlas Mountains. 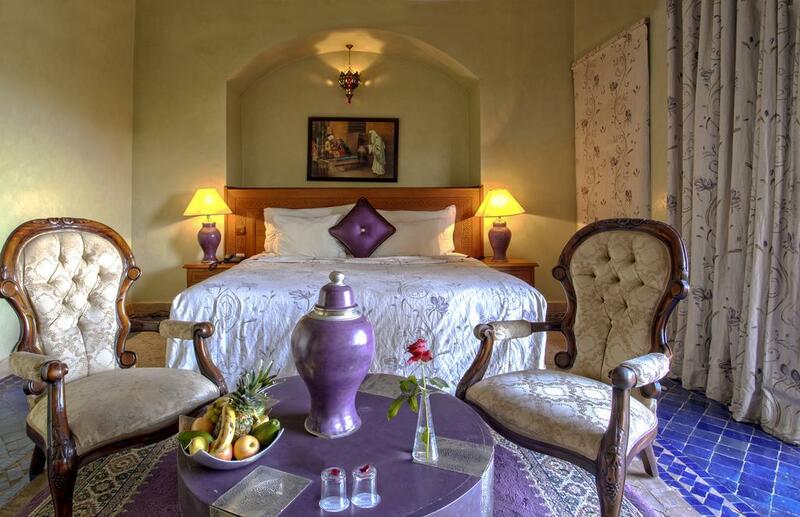 All rooms have a central air conditioning, telephone, free Wi-Fi access, a flat-screen satellite TV and a bathroom with private bath. They all have a private terrace. 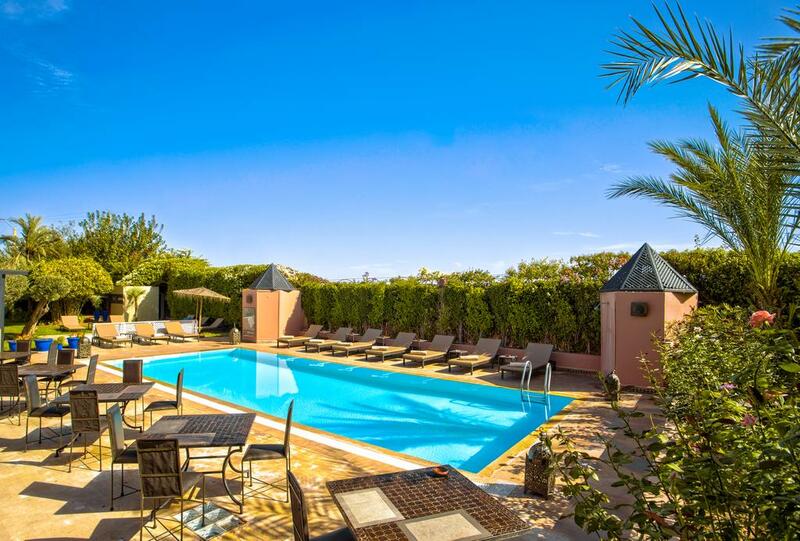 The Palais Jena & Spa features a bar with fireplace, a restaurant, an outdoor pool for adults, a children's pool surrounded by a large green garden of 2 hectares. 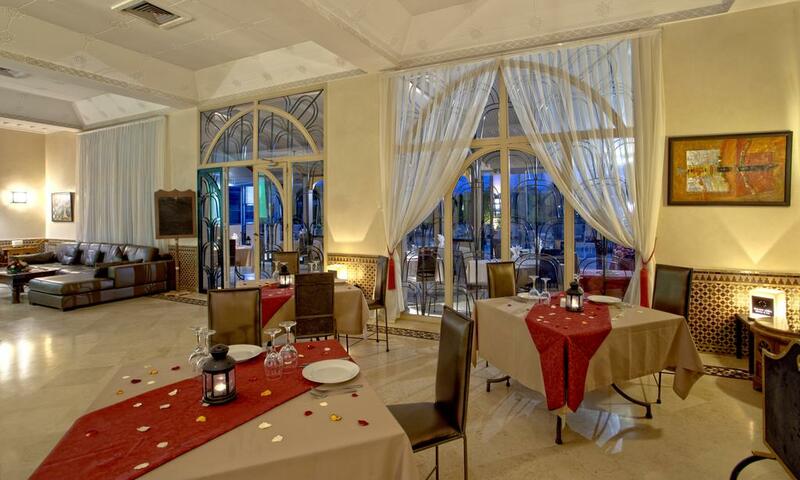 Restaurant Palais Jena & Spa, which overlooks the pool and the Atlas Mountains, serves a traditional Moroccan lunch and a homemade Moroccan and international cuisine for lunch and dinner. 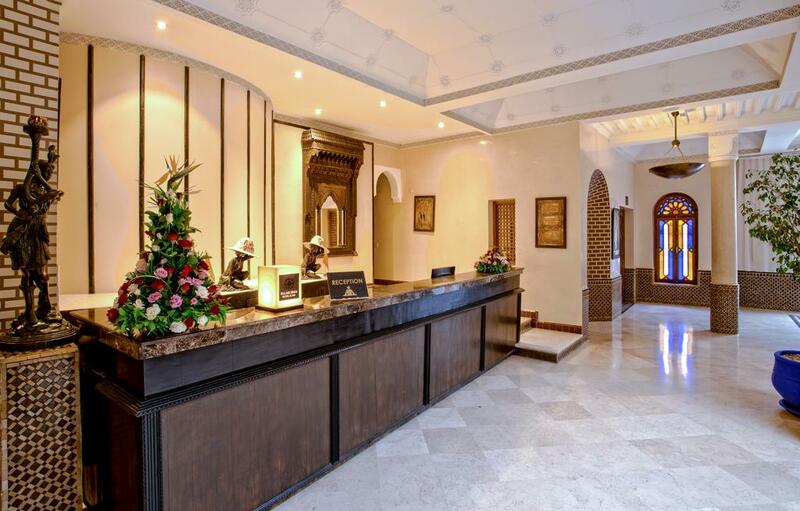 You can also enjoy our 350sqm spa with heated pool (in winter), Turkish bath, sauna, hair salon, and beauty treatments. 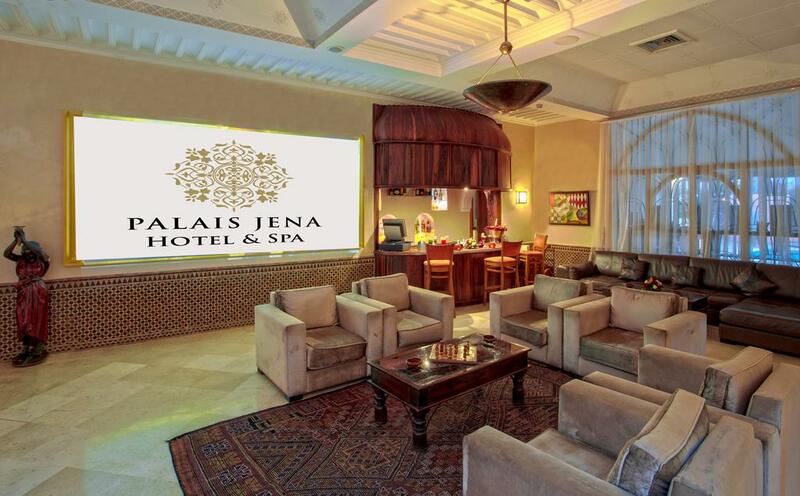 The Palace SPA & Jena is located 8 km on the road to Ourika, and is a 10-minute drive from central Marrakesh and the Place Jamaa El Fna and 15 minutes from Marrakech Menara International Airport.